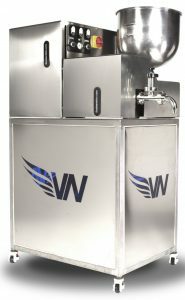 VN02 is an innovative device in the food and pastry industry, designed for emulsifying, kneading, whipping and homogenizing by insufflation of air and/or gas. It guarantees the development of emphasized ORGANOLEPTIC PROPERTIES for the final product (taste, aroma, lighter consistency), even high level of STABILITY essential for its shelf-life. 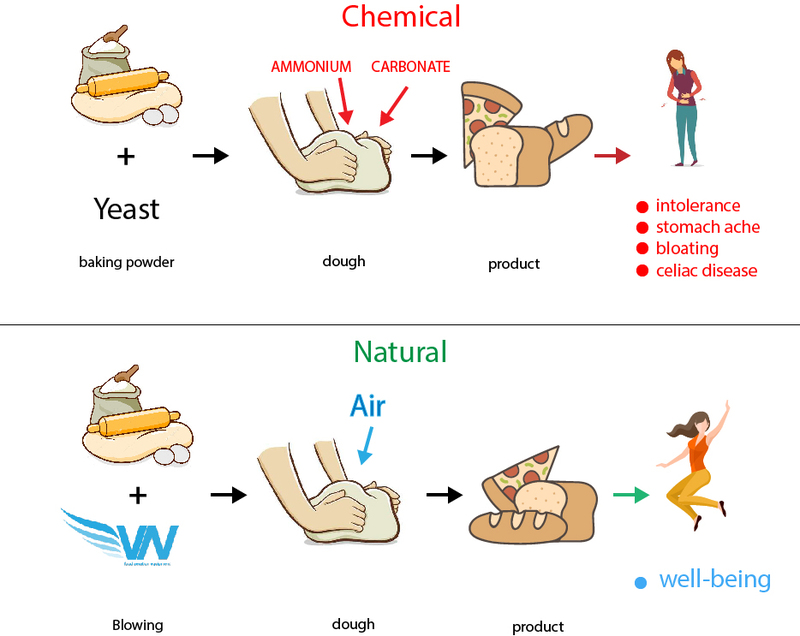 Through aeration (up to 30% of air incorporated), not only it ensures measurable food cost convenience, but also the raising is partially induced by the gas incorporated inside the dough, which acts as a leavening agent (interesting all the evaluations about healthy benefits and applications for gluten-free industry). 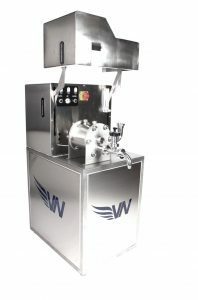 It stands out among other mixers because it’s composed by modular parts which are quick to assemble (patent protected) and given its high flexibility it is particularly suitable for testing, product development, fine tuning and trials of new products in small quantities. 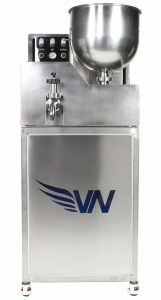 Moreover VN02 shows being adaptable for big scale productions as well as small workshops, because it can be set for continuous or alternating cycle processing, with additional possibilities of customizations (refrigeration and/or heating). Its revolutionary technology guarantees significant energy and time savings. Maintenance: easy assembly (tracks with block system for elements’ insertion), manageable cleaning (feasible by a single operator, compatible with dishwashers and organic soaps) and time efficiency, thanks to a limited number of components. Wide viability of its implementation in the food industry. Pastry: plum cakes, meringues, shortcrust and shortbread pastry, creams, mousse, milk and dairy products, chocolate, ice cream, yoghurt, whipped cream, marshmallows, madeleines, muffins, sponge cakes, ladyfingers, etc. Sauces and savoury products: mayonnaise, gravy, sauces, melted cheese, jelly, emulsions, etc. Baking (baked goods): pizza dough, bread dough, dough for crackers, breadsticks and other bread substitutes subject to leavening, sour dough, etc.